If you’re a PDF power user, this is obviously not ideal. So, how do you have Chrome automatically launch Adobe Acrobat Pro to view your PDFs? Simple. 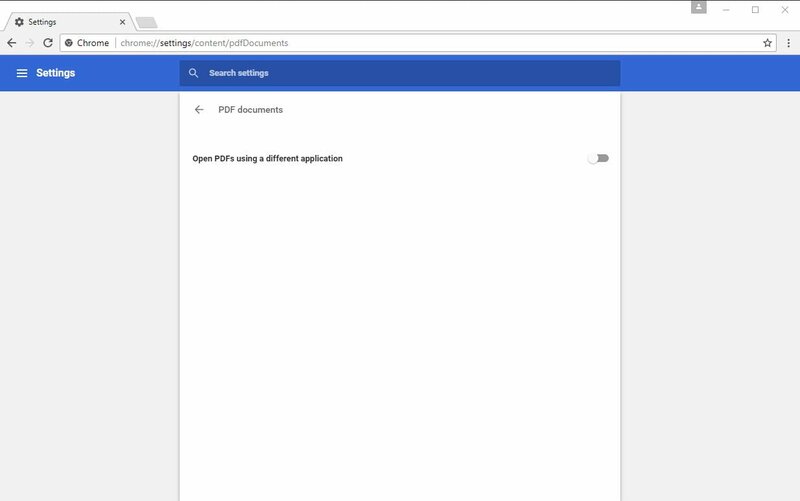 By disabling Chrome’s built-in PDF viewer. Here’s how. Launch Google Chrome. Type chrome://settings/content/pdfDocuments in the address bar and hit enter. 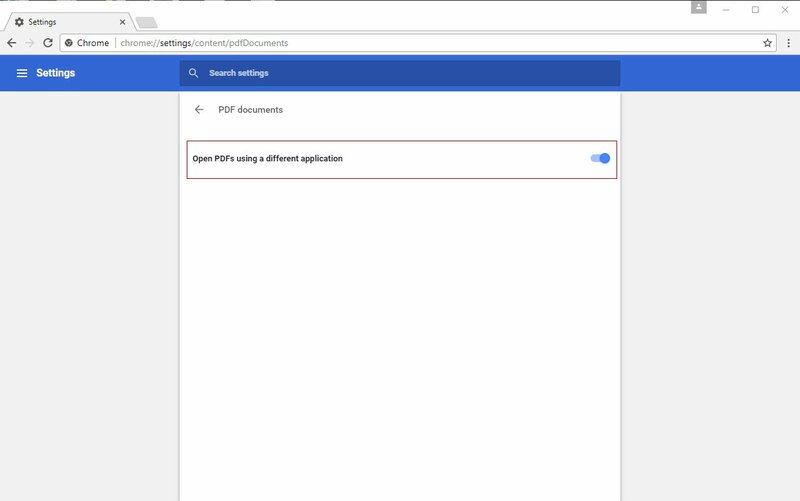 The only option should be Open PDFs using a different application. Toggle the switch on. Congratulations. PDFs will now launch using your system’s default PDF viewer. Chrome has apparently changed the system since you wrote this article. Now the only choice in “PDF Documents” is whether to download the file or let it open automatically. I can find no way to switch between Chrome and Adobe PDF viewers in the latest Chrome configuration. Hmm… you’re right. Google changed the setting since the article was published. I’ll go ahead and put an update to this in the pipeline. However, even with the change it should work exactly the same way. With the “Download PDF files instead of automatically opening them in Chrome” enabled, it simply downloads the PDF file to the download directory and your default PDF application should fire up to open the file. Right, Sam. The new setting works as you say. You can open in either Chrome or Adobe viewers by switching the setting.